When participating in international trade as an exporter, a Certificate of Origin (CO) is often required by the importing country. A CO certifies and declares the countries involved in the production or manufacturing process of the products included in an export delivery. Importing countries rely on Certificates of Origin to determine appropriate imposable duties, as well as, to evaluate the legality of the goods. 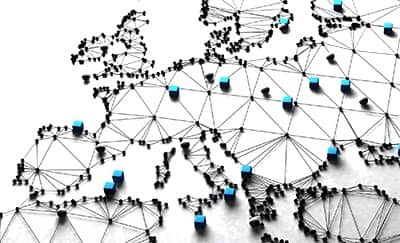 Globalization has resulted in an exponential surge of interconnectivity between nations, and many states depend on chambers of commerce to administer and enforce Certificates of Origin. The 1923 Geneva Convention marked the emergence of the delegation of COs to state chambers. It was at the Convention that chambers were established to be knowledgeable, independent, and answerable third-parties that could delegate the future needs of Certificates of Origin. Non-Preferential Certificates of Origin: Also known as an ordinary CO, this is the most common form of the certificate. Non-Preferential CO’s are issued to export goods that are not subject to duty exceptions (or preferential treatment) by the importing county. Preferential Certificates of Origin: These CO’s offer the export goods preferential treatment via tariff exemption or reduction, depending on agreements formed between the export-import countries. Preferential certificate qualification often requires compliance with customs and documentary credit. Various international councils and guidelines were established to govern the authorization of Certificates of Origin. The World Chambers Federation’s International Certificate of Origin Council, the Certificate of Origins Accreditation Chain, and ICC WCF Certificate of Origin Guidelines detail CO procedures and protocols for member trans-national chambers. The ICO was constructed with the intent of supporting and assisting state chambers assigned with the duty of allocating trade-related documents. Governments synchronized with the International Chamber of Commerce abide by established CO issuance procedures, including the CO Accreditation Chain, and the International Certificate of Origins Guidelines. The Council provides various functions to state chambers, such as: educational schemes targeted at enhancing CO competency, advancing technology aiding the expediency and convenience of CO delivery, and serving a strategic role in ensuring the acceptance and continued expansion of Preferential CO’s. There are currently 70 member countries, including The United Kingdom, the United States, and the United Arab Emirates. State chambers can voluntarily join the Accreditation Chain. Through membership, chambers agree to acknowledge a mutual obligation to assure CO issuance is performed under satisfactory international practices. This responsibility examines the roles of businesses, financial institutions, customs administrations, and traders perform in the granting of COs. Upon agreeing to the Accreditation Chain, members are called to adopt the ICC WCF International Certificate of Origin Guidelines. The roles of state chambers in issuing COs.
How to verify the origin of exportable products. Products prohibited from CO authorization. Sample CO forms available for the adoption by chambers. The European Union (EU) strictly regulates the Certificate of Origin for goods imported or exported from Member States’ jurisdictions. Under EU law, all goods imported from states external to the EU are subject to a common customs duty. The EU coins this duty as the Common Customs Tariff (CCT). The EU’s CCT is not governed by a single codified law, but rather, an assortment of laws and theories. Principally, the tariff has been created to allow producers within the EU States the capability to compete alongside the international market. Products imported from other EU countries do not require a CCT. Although each Member States’ CCT comprises similarities due to EU mandated minimal standards, State duty rates vary by importable good and the location of original export. Generally, the rate will be determined based on a variety of economic factors, including the demand and necessity of the product for economic stability. A CCT’s rate is partially dependent on the country the goods are being exported from and imported too. When determining the origin of the goods, the EU requires two considerations: 1) was the good produced within a single country, or 2) did the production of the good require the importing of materials from more than one country. The second deliberation also assesses whether other countries were involved in the assembly of the export product (i.e. physical labor). If the exporting country qualifies for “preferential origin,” the CCT is often reduced or non-dismissed. The Cotonou Agreement established trade preferences for 77 African, Caribbean, and Pacific (ACP) States. Similarly, the European Commission offers preference to the Overseas Countries and Territories (OCT) of Denmark, France, the Netherlands, and the United Kingdom. For exporting countries outside of the EU (a “third country”) importing into a Member State, beyond paying applicable taxes, established origin rules must be followed. As a third country exporter, evidence of the product’s origin is required. In the UK, the Chamber of Commerce issues Certificates of Origin. Depending on a product’s final destination, the UK offers two types of certificates (the European Community Certificates of Origin and the Arab-British Certificates of Origin). The Arab-British Certificate of Origin is mandatory for products destined for Arab League Countries. The European Community Certificates of Origin is utilized for the export of goods into all other countries not included in the Arab League (except Mexico). Language: A Certificate of Origin must be written in English, French, or Spanish depending on the predominant language spoken within the export or import country. 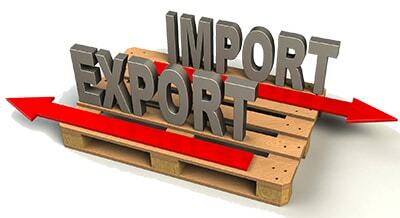 If requested by a customs administration facility, the exporter must supply a written translation. Scope: A single Certificate of Origin may be issued to “cover a single importation of goods or multiple importations of identical goods [called blanket certificates]” (NAFTA Chapter Six). A CO is valid for a 12-month period unless the Certificate is preferential. 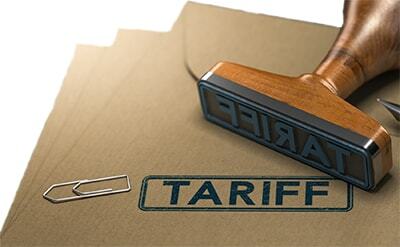 If the CO is eligible for a preferential tariff, it will remain legitimate for four years. Exporters’ and Producers’ Obligations: An exporter must be able to supply proof of CO to a customs administration if requested to do so, “maintain records pertaining to the exportation for five years or such longer period as may be specified by their countries,” and advise any affectable parties of any changes made to the CO. Created by Dubai Customs with assistance from the Tariff Department, the Rules of Origin outline the primary principles surrounding the regulatory procedures of custom’s rules of origin. Dubai’s Rules were fashioned in light of and in adherence to the GCC’s Common Customs Law. For example, Dubai’s proof of the origin of goods was taken from Article 25 of the GCC law. Under this Article, “Imported goods are subject to the proof of origin according to the rules of origin adopted within the framework of the international and regional economic agreements in force.” Succinctly stated, Dubai has agreed to bypass the general rules of origin in instances where an international agreement dictates specific rules of origin protocol. Similar to the other organizations and countries previously listed in this article, the Government of Dubai also adheres to a two type rule of origin system (preferential and non-preferential). Within Dubai, entities that commonly depend upon rules of origin include customs administrations, the Ministry of Economy, Ministry of Finance and Industry, chambers of commerce, chambers of industry, and manufacturers. According to Dubai Customs, there are four significant reasons why determining a product’s origin is critical. Confirming a good’s origin will aid in deciphering whether the import shipment qualifies for preferential treatment. Gathering trade statistics will help in the creation and reformation of future trade policy. Understanding origin will ensure cohesion with relevant trademark laws. Knowledge of origin benefits government procurement.